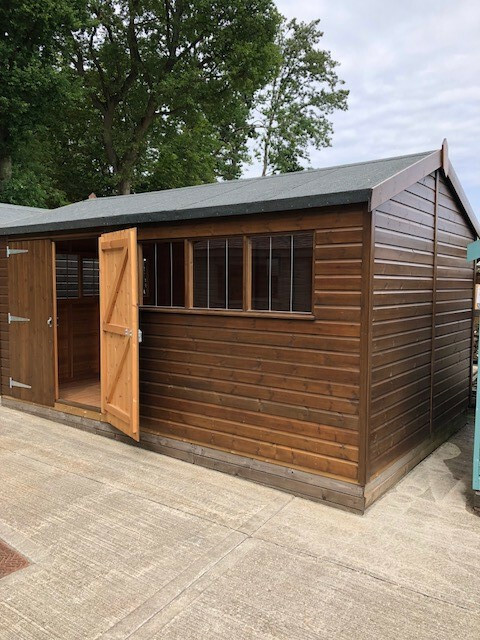 This Superior Shed in our Walnut Sikkens stain is the optimum storage and workspace option. 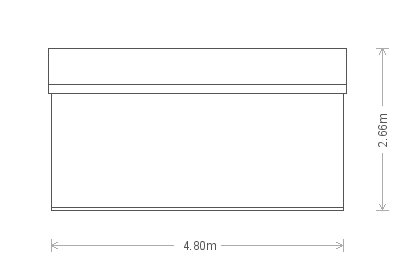 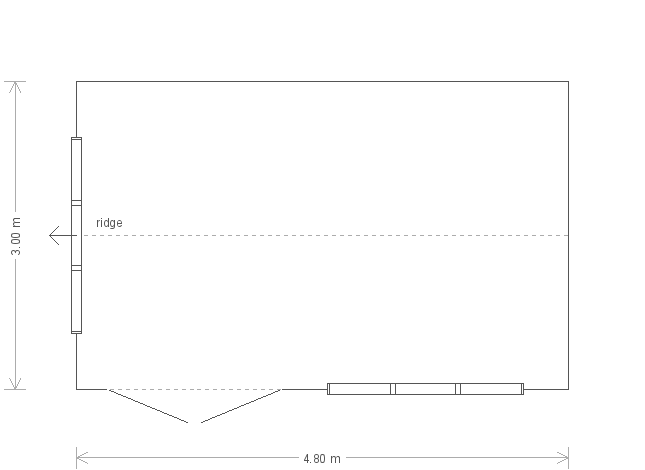 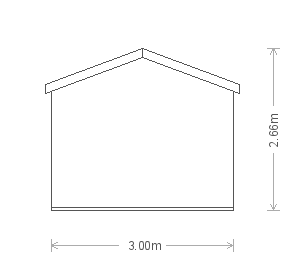 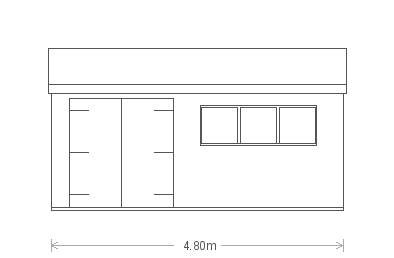 Measuring 3.0 x 4.8m, it has plenty of internal space and an apex roof covered with heavy-duty, heat-bonded felt. 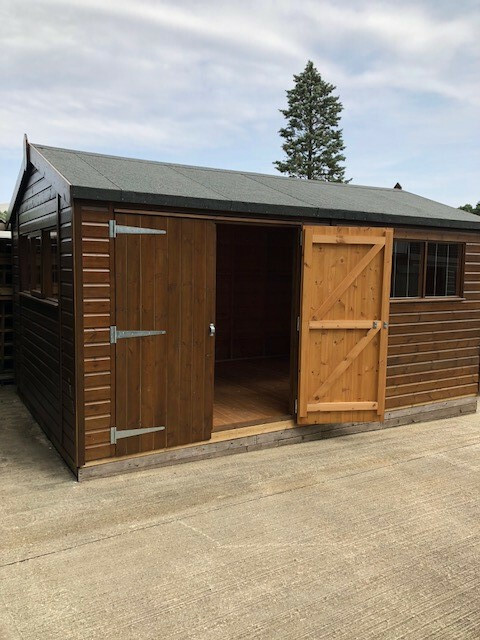 The exterior features smooth, shiplap cladding for a contemporary feel and an added security pack that features window bars, 'un-screw-able' screws and a heavy-duty, sliding bolt padlock for that extra peace of mind.